Deutsche Bank AG fell to a record low in overnight trading after reports that U.S. regulators added it to a group of troubled lenders they monitor. The stock fell 7.2 percent to 9.16 euros in Frankfurt, the lowest close since Bloomberg began keeping records in 1992. Laura Benedict, a spokeswoman for the Fed, declined to comment on any matter that involves confidential supervisory material. David Barr, a spokesman for the FDIC, also declined to comment. However, both the Wall Street Journal and the Financial Times are reporting that sources say the bank has been added to monitor lists at the Federal Reserve and the FDIC. 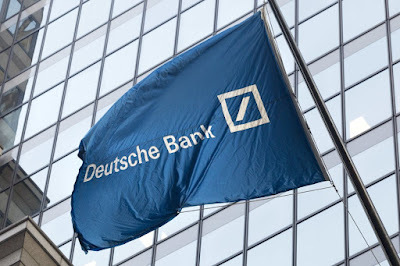 According to WSJ, the Federal Reserve has designated Deutsche Bank AG’s sprawling U.S. business in “troubled condition,” a rare censure for a major financial institution that contributed to constraints on its operations. The Fed’s downgrade, which took place about a year ago, is secret and hasn’t been previously made public. As of December 2017, Deutsche Bank was the 17th largest bank in the world by total assets. The German-headquartered bank has a presence in 58 countries.